The previous home game was one of those matches you never want to think about ever, ever again. 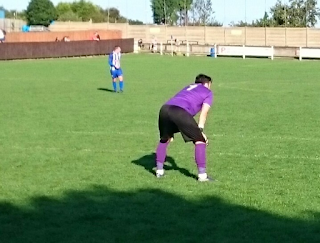 Lost 5-1 to a very phyisical Ashington team with a ref who was living in the land of the Pixies. The Bay lost Mr Wilkinson - the Professor - early on to concussion. Later on it was Steve Gibson who had to be substituted when his knee came off the worse against the visitors. The final coup de resistance was the flying two-footed tackled aimed at the Shankster that only received a yellow card because the King of the Pixies didn't want to upset anyone from the former mining town. The only bright spot of Tuesday night was the Kempstervator's diving header to make it 2-1. Another glorious day at the Bay! Today, although Shanks was named as sub, nobody expected him to come on. The other two were understandably missing from the line-up while Elfie, our Greek God-like person, watched the match from the stands with The Prof. TheBoyMark reminded me that I had forgotten the Prof had gone off with concussion even though it happened in front of me as Mr W chatted to us and told us that he remembered nothing of the evening. Thanks mate. But there was a bright spot to the desperate situation: Dave Berry was named on the subs bench. Like a knight in shining armour, the fitness guru was coming to the rescue again and Nearly Neil was beside himself with excitement. Neil, of course, is happily married and in no way a stalker Mr Berry! After a settling-in period, the Bay were starting to play some good stuff, short and quick accurate passes. Chrissy-boy McDonald lashed in a great shot then a miss-hit shot was volleyed home by Ryan Keltie. We hadn't been expecting that! Ten minutes later, Supermac, who was having a whale of a game, lashed in a shot but this time it sailed over, just missing an Easyjet coming in to Newcastle. Every one of the lads was putting their all into the game and there was more great battling from General Patton as he just failed to get a shot away after unsettling the visiting defence. Marske were completely unsettled. Robo was the next to take aim from the edge of the box and his effort was saved. There followed a worrying moment of the game that can only be described as "Buggiegate". When Patton took aim at the goal, he certainly wasn't watching out for our 'little friends and their transportation'. However, as his shot blasted wide, its path was stopped by Mr Whitley Twitter's daughter's buggie. Luckily the young lady was elsewhere (picking up grass to give to her friends as presents) but the shot left a massive dent in the side of her buggy. We all breathed again when Mrs Whitley Twitter bent it back into shape! Back on the pitch, it looked like Fryatt had been given the freedom to roam and Marske had no idea how to handle him. Our Hartlepool loanee, Josh Nearney managed the highest pitch voice of the game as he couldn't believe one of the ref's decisions. The Bay continued to dominate in the second half as they showed great energy all over the pitch. 'Harry' Potter went close with a super lob before Kempster's freekick was turned in by an unfortunate Nathan Mulligan. What a shame! Those wild Bay fans absorbed in the battle on the pitch. 2-0 up and the Bay were coasting. Then it all turned. Marske suddenly woke up and despite Michael Hammond's star jump in the Whitley goal, the ball was bundled in by Marske's Danny Earle. Back came the Bay and this time it was youngster Logan Powell and Adam Shanks (on as substitutes) who were doing the pressing. Shanks looked pretty mobile, despite Tuesday's injury. Powell it was who squared for Fryatt to have his stinging shot well saved. 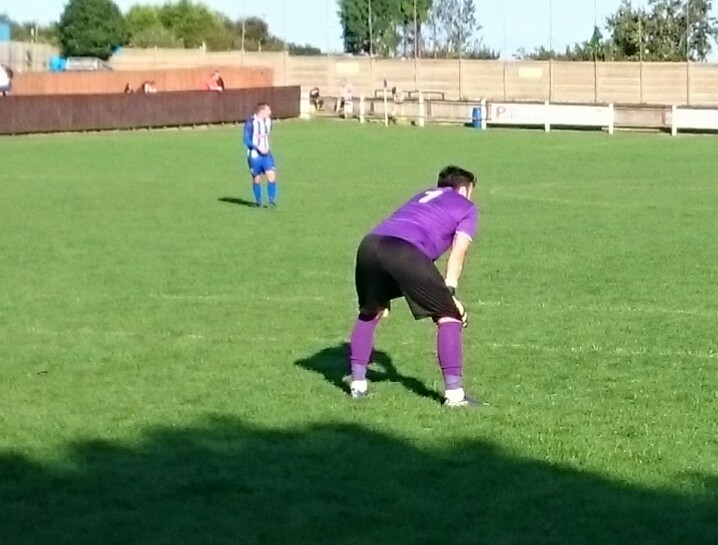 However with four minutes to go, Hillheads was stunned when Marske equalised through Aaron Ramsbottom. The Bay were calling for a handball but with ref Graham Potter preferring the score draw, the goal stood. Despite the fightback from Marske, this had been a complete contrast to the previous game and the first 60 minutes a good way to prepare for next week's visit to Bishop Aukland and the FA Vase game against Stockton Town. The last 30, meanwhile, are a good lesson for the Bay!